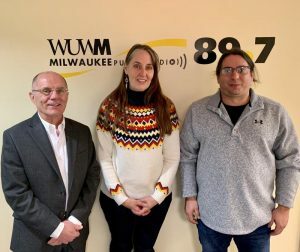 On two occasions, Tom Luljack, host of UWM Today on WUWM 89.7, spent time with folks from our institute to learn a little more about the work of EQI, its impact on students, and the community as well as more about the history of Milwaukee. Part 1 includes stories of our shared history in Milwaukee and on the work of the institute with Director Noodin and graduate student Breu. 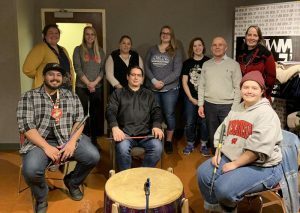 As promised at the end of the part 1 conversation, part 2 extends on the conversation and includes a performance from our teaching big drum student group. You can listen and learn these songs as well! They can be found by clicking on each name.